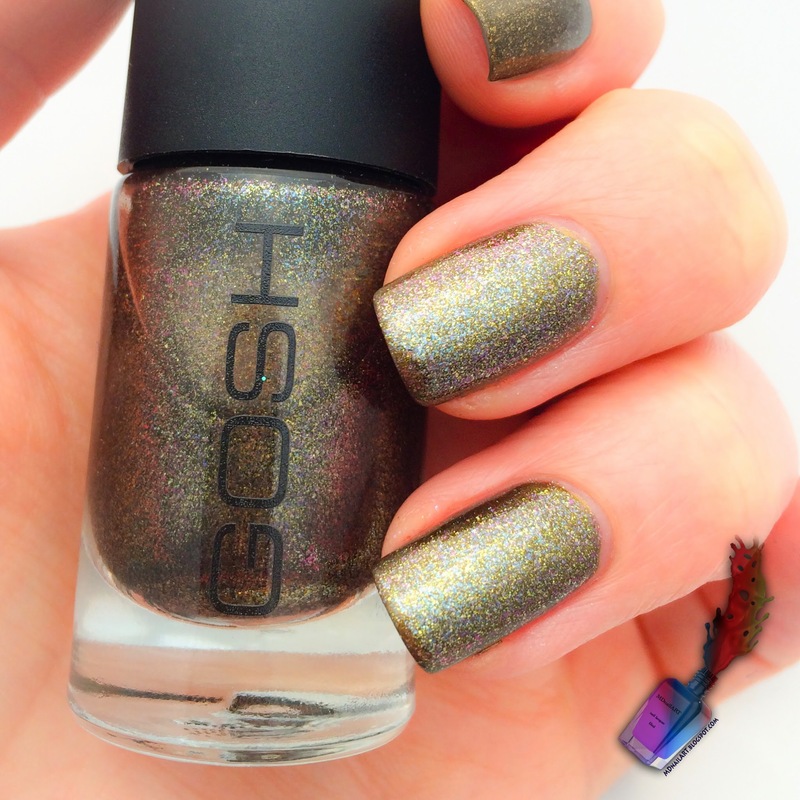 I have been meaning to try out some of my metalic bronze polishes for a while, but I've never got round to it. With so many pastel nails at the moment, I thought I would go for a dark change. I'm pleased with the outcome, but I am dying to get my hands on some steampunk image plates just for these polishes. On a side note, I'd just like to say how fantastic the HK Girl top coat is. The more I use it, the more I love it. It really made the black stamping polish pop out on these darker base colours. Thumbs up! Here's the polishes I used. Konad - Black Pearl for stamping. 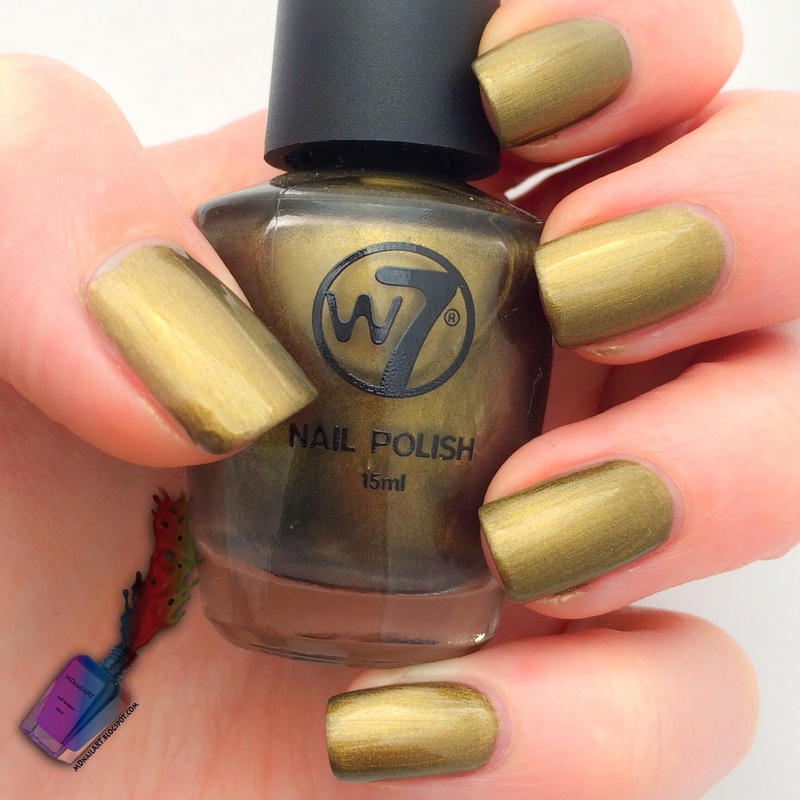 The W7 - Metallic Saturn was a great find in the bargain bin, also a great choice to put on as a base, as the other metallics have glitters, and need multiple coats for full opacity. I was surprised at how nice this one was, as W7 formula tends to be quite thick and streaks very easy when applying. But this one was smooth. GOSH - Galaxy was used for the middle and ring finger, but after remembering about my Revlon polish, I removed the ring finger and repainted it. Unfortunately I forgot to photograph before stamping. The Revlon had more silvery hues, compared to the gold, bronze and blue in this one. This is one coat over W7. Deadly, from Collection, was the darkest of the polishes. This is probably the first time I have used it, and I'm impressed. Application was smooth, it's an attractive colour and it was very cheap. 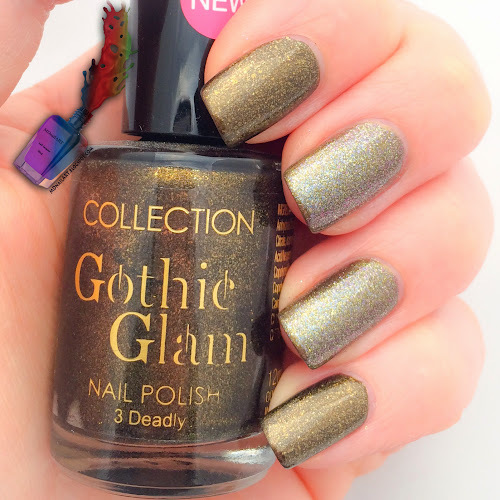 I might even get the others in the Gothic Glam collection. 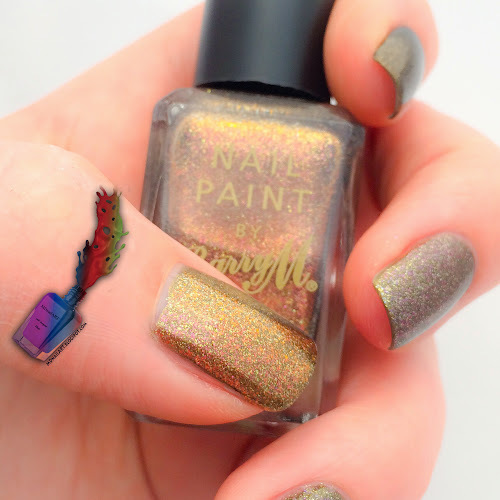 Barry M - Copper. It is exactly what it says on the bottle. It was perfect for layering over my base coat, I just wish it was more opaque and suitable to stamp with. I'll just have to settle for stamping over it. It might have helped to get my thumb in focus, but it isn't bad. The finished set with Konad - Black Pearl, and MoYou Pro collections, 03,06 & 10.